Come and enjoy the classic song, Itsy Bitsy Spider, with the playful Itsy Bitsy Spider and all his little bug friends. The song includes 5 beautiful and colorful verses filled with fun interactions your children will play and learn at the same time! 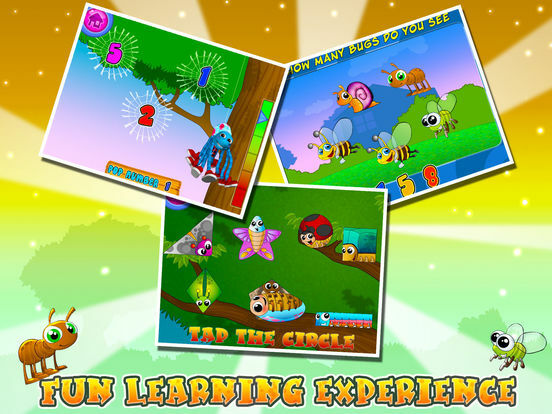 The fun filled games inside the app will provide hours of entertainment for your children while they are learning and developing their memory, logic, fine motor skills and more. 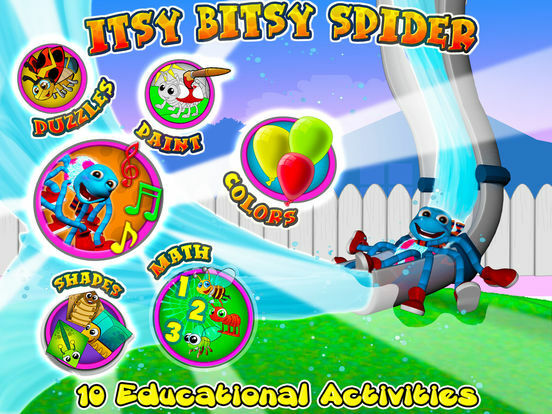 The classic “Itsy Bitsy Spider” children’s song comes to life in an animated, interactive rich song and dance experience. The Itsy Bitsy Spider is playing in the water spout maze. Can you help him find his way out of the maze? Bugs have many different shapes. Come learn the different names of shapes with all of the Itsy Bitsy Spider’s little bug friends. Where is the Itsy Bitsy Spider? Is he behind the rainbow? the bushes? or the cloud? Find the Itsy Bitsy Spider and he will pop out. 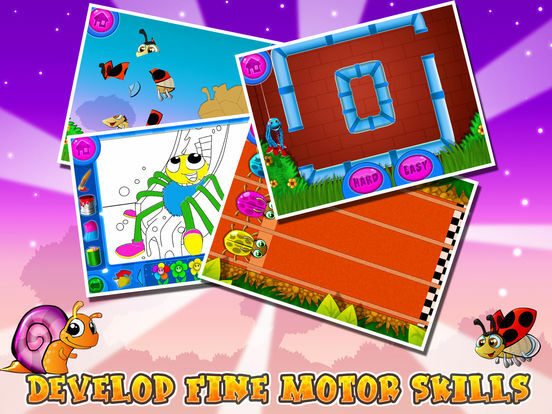 The Bug Race is on, select your bug and race with 10 colorful bugs in a vivid racing track. Tap your bug to make it run faster, the more you tap the faster it will go. Climb up the tree on the Itsy Bitsy Spider’s web while learning your numbers. Enjoy the cheerful scenery as you climb higher and higher up the tree. Pop the number bubbles in order from 1 to 10 to move higher and higher. Complete all numbers to win.